The Queens County Libertarian Party held their annual convention on February 10, 2019. Taking place in a residential home in Forest Hills, a table was set for 8 people but the actual attendance far exceeded that! Guests ranged from Queens locals, to visiting Libertarian Party members of other counties, to Libertarian Party 2018 gubernatorial candidate Larry Sharpe, a Queens native in his own right. The first order of business was to replace the outgoing officers, save for returning officers Kenneth Mulvena as Vice Chair and Aaron Commey as State Representative. Joining them as 2019 officers are Chair Michael Arcati, Secretary Gabrielle Weinblatt, and Treasurer Mark Weinblatt (yes, they are a father/daughter libertarian duo!) Once the new board was elected, the meeting shifted to committee chairs, with Eric Cordova stepping up to the post of Director of Public Relations. Other committee chairs were decided to be appointed at a later date. Next, other administrative duties were discussed, with renewed excitement shared over revamping the website and social media presence, as well as future recruitment and fundraising events. Coming off a slow fundraising year, the new group shared ideas of sponsored events that could attract community members with their universality. Things like “How to buy a car” or “how to get a job” type lectures could be sponsored by QCLP and provide the community with great life guidance, a double win! Members were asked to come up with more fundraising ideas as the enthusiasm in the room called for a record-breaking fundraising year! With an eye towards the future, discussion was also had about upcoming elections. This included speaking about the 2019 New York City Public Advocate Election with Libertarian Candidate Daniel Christman in attendance to fire up the room about his candidacy. That, coupled with 2020 state and city-wide elections were a hot topic, as now that the party has state ballot access, new members and voter registration is key. In this vein, an open house was discussed to occur within the next couple of months to drive registration. And finally, while so much excitement was generated by new and returning members, the meeting was completed by a state update from 2018 gubernatorial candidate Larry Sharpe. He was honest about where we stood at the state level and how we can impact things moving forward. Naturally, this led to a spirited debate over how to do exactly that, with Larry staying composed and driving the conversation. The meeting ended with setting a date for the new officers meeting, as well as a tentative date for the next party meeting. There is a definite goal to have productive monthly meetings of the party this year, and one that the new leadership team is determined to see through.So, until next time, we may be Queens but there’s no monarchy, our group and party is all about living free! 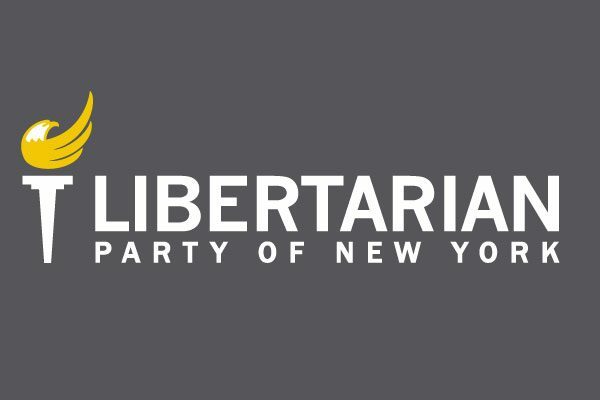 Eric Cordova is the Public Relations Director for the Queens County Libertarian Party, having been appointed in 2019.